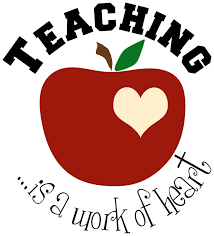 Hi everyone, this is a post for students teachers with teaching practice approaching. I have written several posts on this topic which you’ll find if you search the term ‘teaching practice’ on my website. This post is just to put your mind at rest. Please don’t worry too much about teaching practice. Yes, it is tough going and it is completely understandable to be stressed and worried, but you are going to have to get through it either way; and it will be much easier if you are calm and relaxed throughout! Always start with a maths game- try connect it to the task if possible. The inspector needs to see you teach the new topic. If it is fractions, do the problem on the board step by step for the class. Do two questions, then bring children up to the board to try. Then, once you have TAUGHT the new topic, you can set a task. The task needs to be ACTIVE! Maths of all subjects is supposed to be as active as possible. Try include group work too if possible. Show your differentiation by task! You need to wrap up your lesson at the end. I would usually stop the task, and ask them to discuss what they have done. So I would pick maybe five children to talk about what they have learned during the lesson. You can finish with a game or a short maths video connected to your topic. Irish lessons must be taught through Irish. Introduce new vocabulary via flashcards. Use props as much as possible, in all class levels. It makes it so much easier to explain the vocabulary when you are unable to translate for them. Use comhrá in your lesson. Unless you have infants- all classes should be able to take part in a dramai beaga to suit your theme. questioning and a short game would be my preference but that is just me!